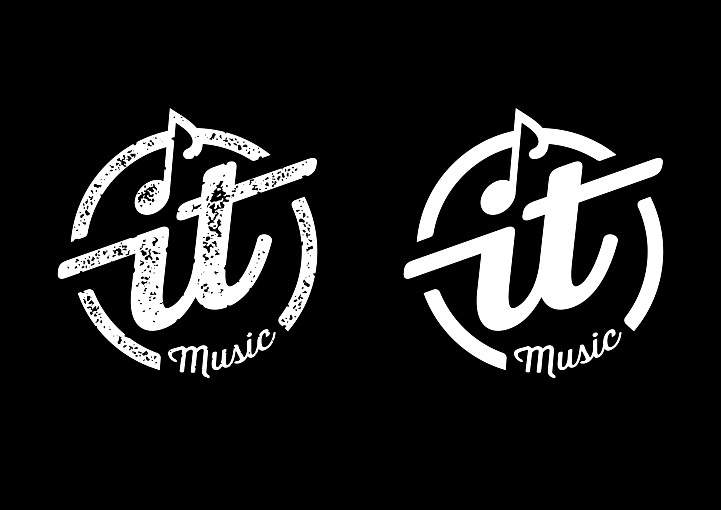 It Music logo brand design in Galway, County Galway created by the Zetagram graphic design service. 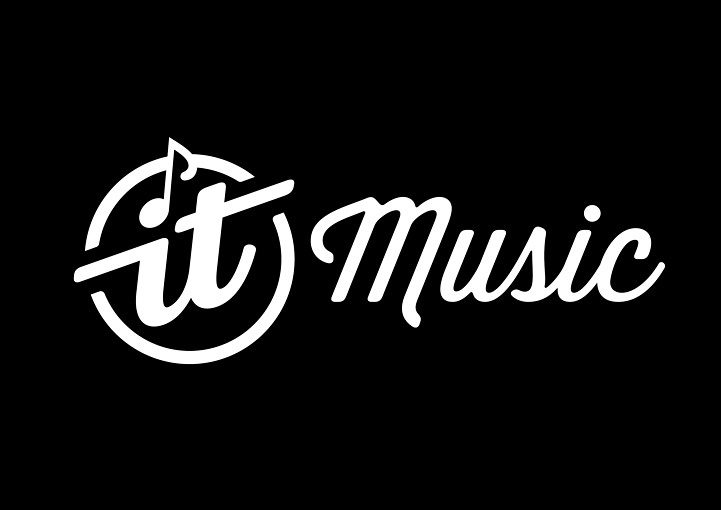 It Music logo brand design in Galway, County Mayo created by the Zetagram graphic design service. 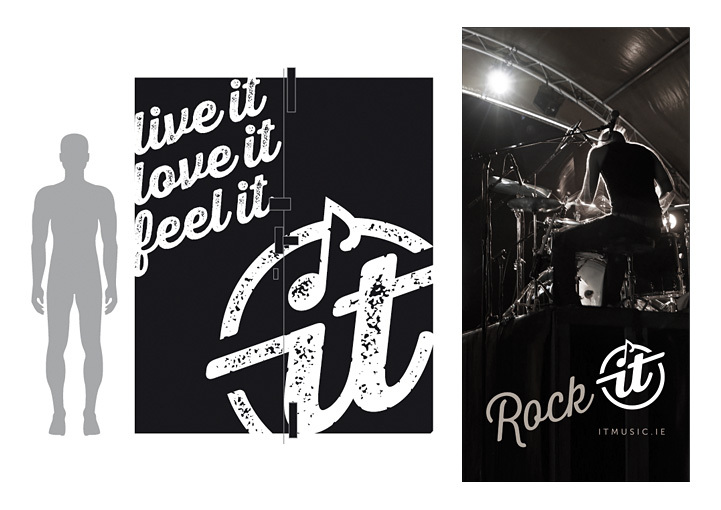 It Music brand design visuals in Galway, County Galway created by the Zetagram graphic design service. 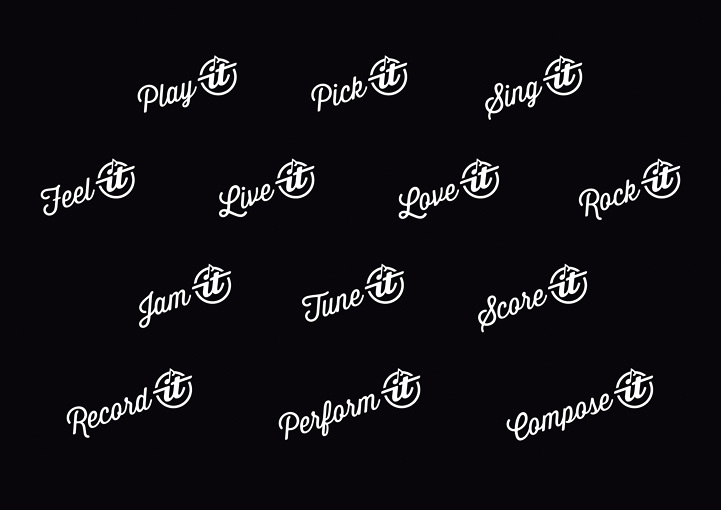 It Music strapline phrase designs in Galway, County Galway created by the Zetagram graphic design service. It Music shop fascia design in Galway, County Galway created by the Zetagram sign design service. 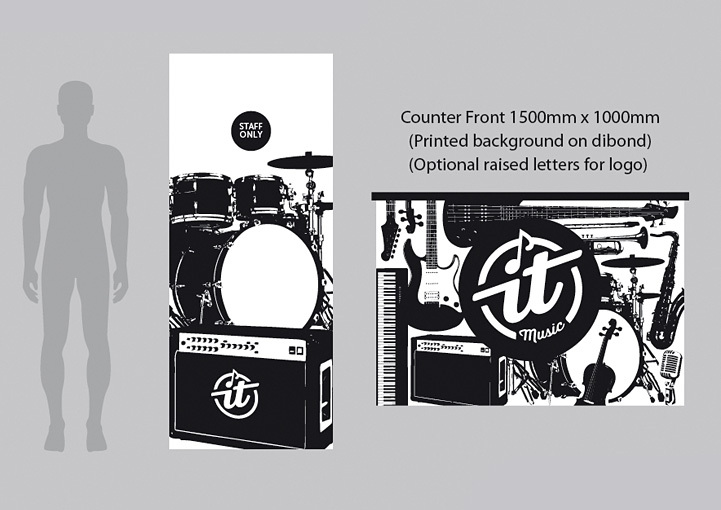 It Music interior signage designs in Galway, County Galway created by the Zetagram sign design service. It Music wall graphics design in Galway, County Galway created by the Zetagram sign design service. It Music, based in Castlebar, County Mayo, was a successful independent retailer of musical instruments and accessories to the local Irish market. When the client was in the process of opening a second musical instrument shop in Galway city, the initial brief to Zetagram* by the client was to was to develop the existing logo into a more flexible and distinctive brand, and apply this to the new shop fascia. 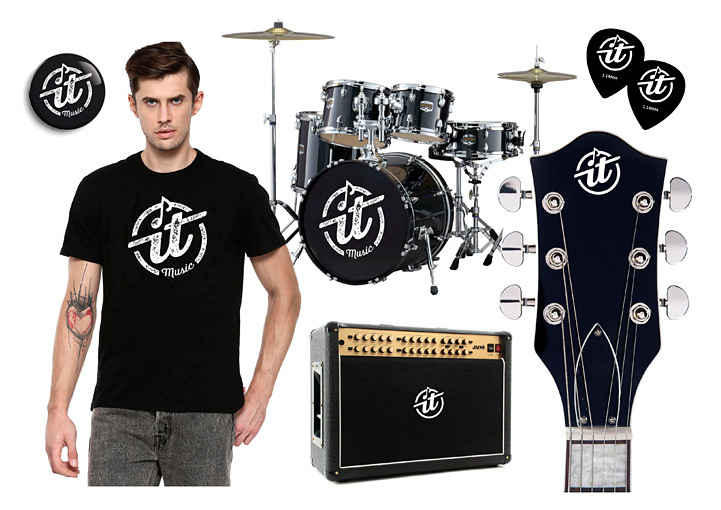 The name It Music had been established over a number of years, and the client had developed the existing logo with a black and white theme, using a guitar headstock. To support the name, the client had also been using phrases like 'Play It', 'Strum It', 'Pick It' etc. 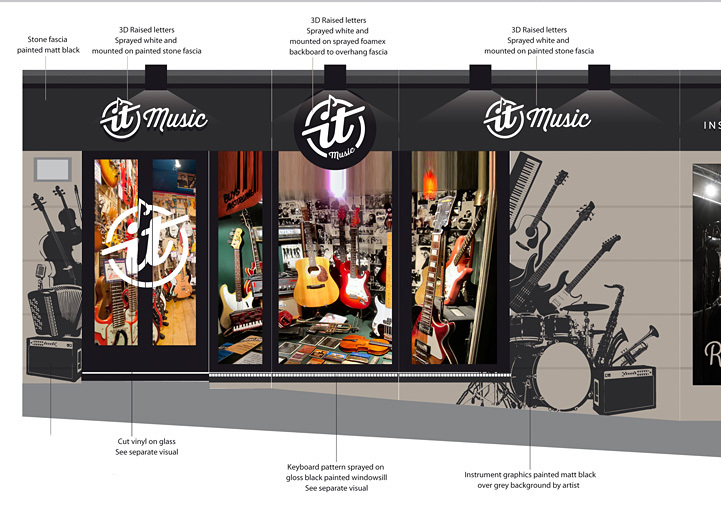 Because of the wide range of musical styles and instruments provided for by It Music, the client found the guitar imagery too limiting, so the challenge was to represent the music shop in a simple manner without any bias to a particular instrument or style. To achieve this visually, Zetagram concentrated on the common elements of musical notes, and incorporated a quaver into the letter 'i' of the brand name design. The finished brand design had different versions so it could be applied in multiple ways:- a primary circular motif, a landscape version for signage and web legibility, and antique/degraded alternatives to be applied in rock/retro contexts. Once the brand was agreed, the next step was to apply this to the new shop fascia. Despite it's prominent location on Forster Street (close to Eyre Square), the shop had a relatively small window and door with a large area of blank, concrete wall. To increase the visual presence and effectively use the available space, Zetagram created a series of musical instrument stencil drawings that were arranged around the windows on the concrete surface like a mural. This was initially intended to be hand-painted, but the signwriter supplier suggested and fitted a special adhesive wall vinyl that could be applied directly to the prepared wall surface. Piano keys were stencilled onto the window sills and 3D raised letters were mounted on the existing stone fascia. To generate further interest, large photographic posters were fixed to other aspects of the building, so the brand could be seen from all angles along the street. To continue the brand style inside the shop, Zetagram also designed interior signage, a counter front and door graphics using the musical instrument stencil drawings in the established black and white theme.